No doubt, the emphasis this October for Breast Cancer Awareness Month will be on prevention, and rightly so. Recent statistics show that approximately 12% of all women in the United States will develop the disease in their lifetime. In 2016, this means about 246,660 new breast cancer cases. Unfortunately, what also comes like clockwork every October is the onslaught of campaigns from organizations like Susan G. Komen which encourage mammograms as the only option for prevention. Striking changes in official mammography recommendations were finalized in the beginning of 2016. However, this is leaving consumers with a lot of questions − and wanting answers − about other breast cancer screening options. It did not take long for the American Cancer Society (ACS) to respond with a change in their own policies. Before the ink was dry on the preliminary USPFT report, the ACS issued their recommendations, which took effect in July 2015. The American Cancer Society now recommends that women with “average risk” of breast cancer begin annual exams at 45 years of age, not at 40. In addition, the ACS now recommend that women over 55 cut back to biennial screenings instead of getting them once a year. This change in policy begs the question of why. Just what are the risks that the USPTF talks about in their report? Unfortunately, when the ACS’s new recommendations came out, the focus was on the risk of “false positives.” False diagnoses of breast cancer after mammogram should be of concern since they can account for up to 20% of all detections. They can sometimes lead to risky biopsy and, in the most extreme cases, they can also lead to chemo, radiation, and mastectomy. In addition, the emotional strain of a breast cancer diagnosis causes needless suffering in all cases. A Canadian study of women ages 40 to 59 that lasted more than two decades came to the conclusion that annual mammograms do not reduce mortality rates any more than breast self-exams do. 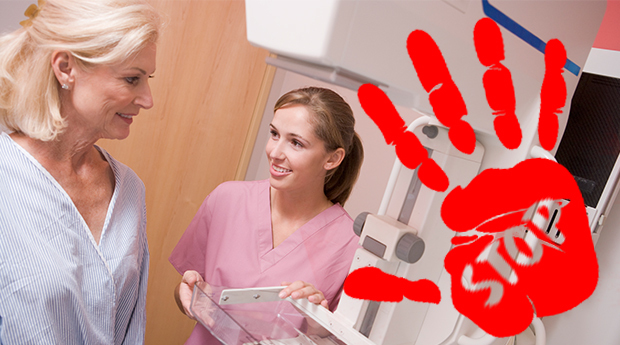 Mammography can actually cause cancer. Some experts believe that a woman’s breast cancer risk rises 2% with each mammogram performed (Dr. Russell Blaylock, MD). This is because of all the compressing, poking, and prodding as well as the radiation exposure that usually accompanies a typical exam. Thermography is considered the “gold standard” of alternative testing options since it is non-invasive, safe, and can detect possible tumor activity years before a mammogram can. In fact, a 2008 study published in the American Journal of Surgery concluded that breast thermography has a 97% “sensitivity rating” for finding malignancies before a visible tumor has been formed. Contact the American College of Clinical Thermography for more information. Iodine is absolutely vital for breast health because iodine acts as “food” for many functions connected to the reproductive and endocrine system… including the all-important thyroid. Consider a 24 hour loading test, available online. If possible, test to check if you have fluoride and bromide in your system as well. (Some of the iodine kits test for bromide as well.) Too much of these toxic environmental substances can block iodine absorption. Because of sedentary, indoor lifestyles and bad eating habits, most Americans are deficient in Vitamin D. This is a sad fact since there is a direct and research-verified connection between vitamin D deficiency and breast cancer. A test for your vitamin levels can usually be easily administered by your doctor. Getting your overall hormone levels checked is a good choice especially during your perimenopausal and menopausal years. Saliva tests that take a look at your “Estrogen Quotient” can check the balance of the three estrogens that affect breast health: estriol, estrone, and especially estradiol. Other hormone-related tests can check progesterone, testosterone, DHEA, cortisol, and other stress-related hormones that play a part in overall breast health. Another important test is one that will check for estrogen methylation, which is basically the way that the body metabolizes estrogen. Slow or non-existent methylation of hormones can be a sign of cancer risk since cancer cells tend to have improper methylation overall. Finally, if you suspect that you may be at high risk of cancer, then ONCOblot may be for you. This is a unique and one-of-a-kind test that was created by Purdue University researchers Drs. Dorothy and James Morré. ONCOblot will check for the universal cancer cell marker ENOX2 and can also identify the specific origin of cancer cells in the bloodstream. ONCOblot is said to have a 99% accuracy rate for discovering tumors when they are tinier than a pinhead. This October and in the months to come, the choice to get a mammogram will be a deeply personal yet important one, and only you can decide if it is right for you. At the same time, it is important to know the dangers and also that you have options other than mammography for breast cancer screening. Know your breast cancer signs and be aware that safe and extremely effective alternative testing methods do exist and more women are using them every year. Want to be notified when other awesome interviews or articles are added? Click here for our free weekly digest. You’ll be glad you did. Enhanced biological effectiveness of low energy X-rays and implications for the UK breast screening programme. Can SAR Value Help You Choose the Safest Cell Phone? As now 62 yrs. old, I have never had a mammogram, although I have been told by MD’s I would surely die if I didn’t! As a genealogy researcher for many years, have documented absolutely NO history of breast cancer in my genes so never saw the need to jump on the wagon of fear mongering. I also have never had a MRI, A cat scan or the rest of the “fashionable test” tossed in the name of HEALTH! I don’t buy the fluoride lie, limit x-rays unless no other choice, accept my cholesterol number is a good thing, take no medication of any kind, and refuse to become a patient for life to line the pockets of the doctors and most of all the pharmaceutical companies. What I do do is eat to live.. I grow most of my own food and what I can’t? I buy from a like minded farmer that also sees the crap Americans are getting tossed as FOOD! My local grocery stores sees about 20 bucks a month from me. VOTE with your dollars! This country needs to WAKE UP! I have lost people that were part of my life to the scams being tossed as HEALTH! Take charge because your government doesn’t care about you, unless some bucks attached. Organic to expensive? And an office call isn’t? Right on tag!!! I am a year older than you. I am thinking you live where there is real dirt..I live in Condo in Phoenix Desert! Fun factoid..Arizona changed the law that designates a farm. The number doubled when they did, which now includes people who can grow and sell a minimum of 1000.00 in product a year. We have people who pick up the produce and sell at markets and the grower gets a tax write off while growing food for themselves and others! When I was pregnant with my son they said he was HUGE and made me do a million ultra-sounds, at the time I had no idea that they expose you to radiation! I am not sure Ill ever do another one if we get pregnant again. thats just scary to me. WONDERFUL to see awareness being raised about alternative and additional ways to diagnose and image breasts! Especially because of our MEN! I’m a retired xray tech and I’ve performed a lot of mammograms. There is a staggering variation in breasts across the globe. Big ones, small ones, floppy ones, firm ones, painful ones, uneven ones, implanted ones, reduced ones, scarred ones, diseased ones, pierced ones, patient standing and patient laying down ones, black, white, asian, hispanic ones plus all the ones I’ve missed…and THEN there’s the ribs and shoulders and armpits and bellies and collar-bones and breast-bones and heads and necks and spines and ears and more, that somehow or other all get in the way. … and then there’s the MEN. From the beginning of my career I’ve been greatly dismayed, by the lack of awareness about men’s breast cancer, by the general tendency to mock and ignore any symptoms, by the inadequacy of using female breast imaging equipment for males, and by the dismal survival rate.after the late diagnosis. And then there’s the breast itself. Males have all of the above female mammographic complications and MORE. The machines are designed for women. Women’s sizes, women’s shapes and all things that make womens’ breasts womanly. Men are taller, have wider chests, broader shoulders, bigger muscles, tighter skin, sweatier skin, bigger bellies, denser ribs, flatter more immobile breast tissue, more widely dispersed, etc etc etc, plus chest hair. Even when it’s shaved, an abundance of residual coarse miniscule-length stubble can greatly interfere with obtaining a mammogram. I remember some days, after a long exhausting man’s mammogram (creating huge backlog), I’d go home knowing that we did not have the capability to give that man a complete mammogram.There needs to be specialized dedicated imaging machines, supportive equipment(positioning aids etc) and protocols designed specifically for men. And we ALL need more OPTIONS. Wonderful caring doctors sometimes tear their hair out trying to find quality accurate breast diagnostics for any gender of patients who can’t or shouldn’t have a mammogram. Severe scoliosis or severely arthritic spines, severe shoulder arthritis, paraplegia or quadriplegia, advanced Parkinsons, stretcher patients, currently breastfeeding patients and the list goes on. Conditions such as these may make it impossible to obtain a mammogram, depending on the circumstances. It’s high time for other OPTIONS to start becoming mainstream. This is the first time I’ve “revisited” my former career for many years, due to my own health concerns, but it’s never far from my mind. This is truly wonderful, to see so all these options for breast diagnostics on the horizon, and an increasing awareness of just how vitally important they are. Thus far, well done. It’s absolutely important to recognize that this cancer effects both men and women. We all do need more options. Thank you for sharing this refreshing insight. Ditto to all and thank you Dr Veronique did helping me make a decision that in my heart I know is right. I received a call today that I must have another mammogram in six months after having two ultrasound in the past six month which shows a non cancerous lump and I’m told I must have an ultrasound every 6 months for next 2 years. And in addition a mammogram for right breast in six months since I have dense breast. I have no family history of breast cancer. I also have been diagnosed with Hyperparathyroidism and after surgery 7 years ago where 2 glands were removed and I was supposed to be cured I’m not told I need another surgery. Enough is enough. I will investigate and have doing so natural alternatives. For both I’m really scared but determined any advise or referral would be appreciate. 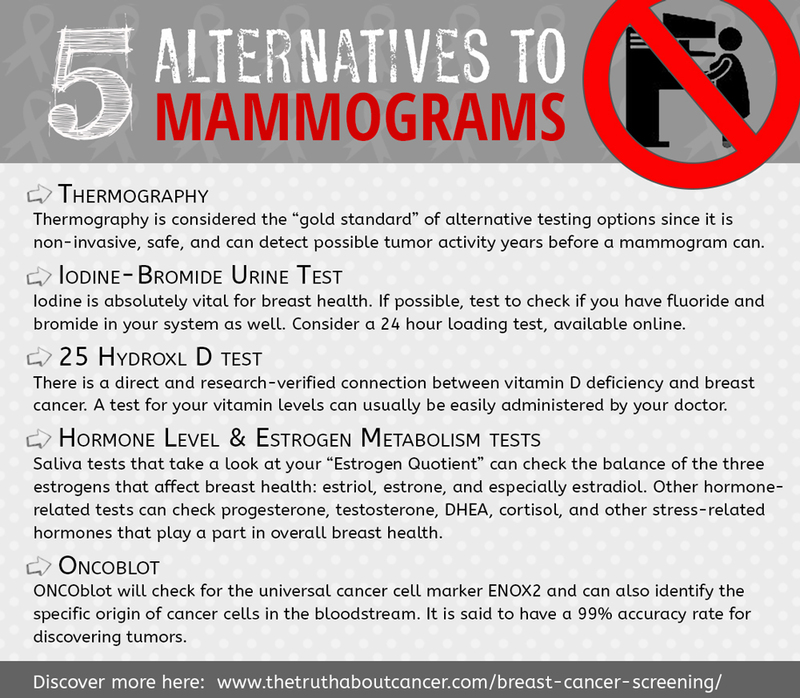 I think it needs to be specifically stated that mammograms do not offer any PREVENTION. Nor do the other tests. All are about DETECTION – a completely different concept. For some who posted about food as medicine, I agree. But also note only 10% of breast cancer is actually inherited. Most is random and sadly can strike anyone on any dietary course. We live in a dirty world with pollutants everywhere. “In 2016, this means about 246,660 new breast cancer cases. Unfortunately, what also comes like clockwork every October is the onslaught of campaigns from organizations like Susan G. Komen which encourage mammograms as the only option for prevention.” (from the above article). 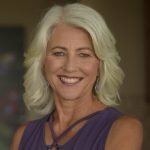 I founded Annie Appleseed Project providing information on lifestyle changes, risk reduction, toxicity of conventional treatments and alt med. I just had a 3-D mammogram following my 6 month date since breast cancer surgery. They said that it was low dose radiation but I feel like I’m kind of stuck. I said no to chemo and radiation and stopped taking the horrid Letrozole, for now (5 weeks), which is going against advice from my Onc. and surgeon. I’ve said no to everything else, so…… This is causing stress. Get in touch with someone who can help you with the choice you have made e.g Dr Veronique Desailiners (scroll up for her bio). In the meantime look into ways of reducing your stress as that can be a major contributor to I’ll health. What is not well known to the public is the accumulation of toxic metal salts that can store in breast tissue. Scientist have examined breast cysts and tumors and high levels of toxic metals such as cadmium, nickel, aluminum are found. Usually these metal salts that are broken down by the body’s acid route themselves out thru the axilla(underarm). In testing people on the Oligoscan, aluminum is usually leading the list of excess toxic metals. Aluminum is found in practically everything today, from pans, toothpaste, grains, the sources are too long to list here. using antiperspirants/crystal style deodorants can block the ability of the breast lymphatics to flush out, over time this accumulation can lead to Indicators such as breast pain can be from excess aluminum salts creating calcification. Calcium plays a role in the body to absorb metals such as aluminum(ions). So when one gets invasive mammogram, the medical staff has no idea how much “metal” is circulating or not circulating in the breast tissue. The radiation used during a mammogram is subject to a width so the concentration of rad’S can vary. What happens is breast density may be from excess aluminum salts trapped in the breast tissue creating more calcium to dump, but if the lymphatics passways/ nodes are blocked anywhere along the route to the axilla, the cellular debris is trapped. Thermography is non invasive, but if you elect to get one have the thermographer take a scan to include the armpit to check for blockage and if you wear earrings, leave them on and have a side view taken to see if the earrings are effecting a lymph node in the hollow of the collar area. Press down and see if you have any pain associated with this. We have seen on thermograms earring greatly influence and disrupt the drainage of that important lymph nodes. So if they put dye into you pre mammogram and the flow runs inwards instead of the axilla it probably is a blocked lymph nodes that needs attention. Castor oil packs on the liver? This helps with the circulation of the breast,also the liver if full of aluminum salts can become faulty. Breast cancer and liver disease are connected. Anyone out there connect root canal on the nondominate arm side with using the crystal style Deodorant? Check for breast pain in hollow of shoulder area. Healing Humanity One Body At a time. I wish you had photos to explain the lymph nodes exams described above ! I am lost in the description ! Are their test to determine the amount of these metals in your body? In my opinion, I would not say that mammograms are good at detecting breast cancer on premenopausal women under 50, because they still have dense breast. My GP doctor forced me to do a mammogram, when I turned 35 in 2008 because of my family history and I was not too happy about it. When I told my mother that I did not want to do a mammogram, she just got angry with me and told me to grow up. I have heard that mammograms just cause more breast cancer on women the younger the breast are. My sister who is a doctor said that mammograms are not good at detecting breast cancer on younger women who are premenopausal. They really should be done after menopause. I would say that an ultrasound, MRI, biopsy, and thermography are better at spotting cancerous cells in breast than mammograms. Should thermography be done only for women who have breast cancer or can it be done on people like me who are at high risk of developing this disease because of my mother? Luckily, the lump that I have in my left breast is just benign and it is only a fibroadenoma. Hi Irene, great advice! Just saw Dr V at our Conference, with EMF and Hydration she uses in her practice as well as myself as a Practitioner. Have been for nearly 20 years, from Dr Smirnoff on Episode 7 in Truth About Cancer interviewed by Ty, created the MRET technology to protect against Cancer causing EMF from Cell phones and all Elctromic devices. Also, the Activated Water Technology. If you would like to know more please connect! Happy to share ! Kedzi at AOL dot com. Silvia, your sister is correct in the fact that mammograms are not as effective in pre-menopausal breast(tissue is still too dense yet to be seen clearly). Thermography is appropriate for any age regardless of age or prior diagnoses. I have worked as a mammographer previously and now do thermography. Thermography is a test of physiology and function and mammography is a test of anatomy. Thermography is a excellent way to monitor subtle changes in how the breast tissue is evolving before an actual mass is formed. Thermography will pick up new blood vessels(angiogenesis) that will form when cancer cells are developing. Is this the same as the documentary Ty and his wife had a few months ago ? Several key people were on to explain about different cancers ! I watched it !! Interesting ! If you don’t own TTAC it is worth every penny. longer producing estrogen, what’s the point of taking a drug for 3-5 years? Yes, Linda, it does cause stress. My question to the previous oncologist: How can my body heal itself by adding more poison to it? He did not have an answer to that question. KYP….. I took Tamoxifen for one year and endured such horrible side effects including hot flashes, weight gain, mood swings and the thought that I was drinking poison every time I took it. I finally stopped when I found out that the FDA deemed Tamoxifen a carcinogen. You can develop uterine cancer from Tamoxifen. It doesn’t make sense to trade one Cancer for another. I had excessive bleeding while on it and since developed a uterine polyp from the Tamoxifen. Please don’t take it. I’ve been cancer free for 3 years but now have to deal with the uterine polyp. I’ve been getting thermography, juicing, acupuncture, taking milk thistle, turmeric, green tea, probiotic, vit. C, bone broth, digestive enzymes, spurilina, selenium, zinc, iodine, magnesium, diatomaceous earth, multi vitamin and eating lots of organic vegetables. No more processed food. I feel great. Do your research and seek out someone that can help you heal naturally. You don’t have to do what your doctor tells you. Is there any recommendations for Canadians? Referrals for someone who is in Manitoba? What is your opinion of a 3D mammography (Digital Breast Tomosynthesis) for a post menopausal woman? I had a 3.5 cm “precancerous” tumor removed last May, followed by low-dose preventative radiation therapy. 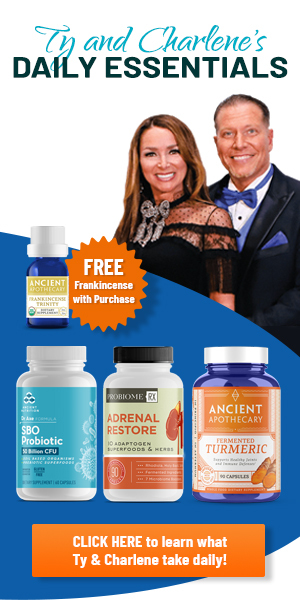 I had a parallel protocol to deal with these procedures (colon hydrotherapy, essential oils, fermented mistletoe injections…), but I have this nagging feeling that I need a check up (“Nocebo” effect from hearing horror stories of people who died after trying these alternative treatments?) As much as I’m trying not to think about it, I can’t help it, which is only exacerbating the problem. I live in Northeast France (near the German/Luxembourg/Belgian borders), but have yet to find a single center in the EU that offers thermography. As I’ve heard so many stories of cancer resurfacing elsewhere in the body, I’d even like a more complete exam. Is there somewhere here in Europe besides Switzerland where I can get this done? Where can I get a breast thermography exam done in France/Belgium/Luxembourg/Netherlands? Also, it appears to only be available in Toronto, Canada and you need to go into their clinic; nothing in the U.S., and nothing by mail.